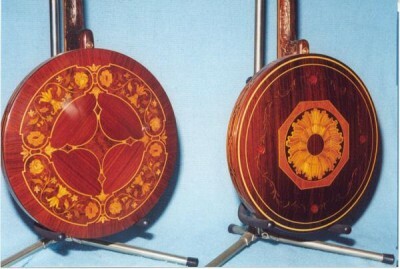 These photos are of the Paramount "Artists Supreme" model (both plectrums). These were the top of the line Paramounts. The version with the sunburst center is the earlier of the two (S/N 254) and built about 1929. 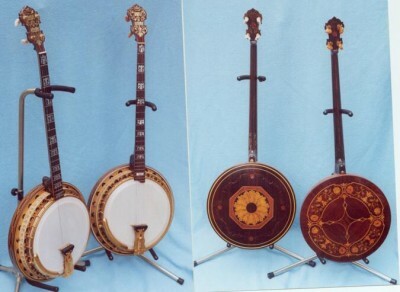 It is very difficult to pinpoint the exact year for any of these banjos, as record keeping in those days was quite vague. This is only an educated guess as to the year. 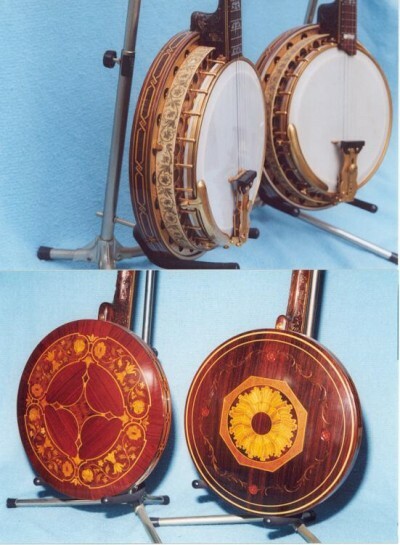 The banjo with the ring of flowers has the identical construction, with the only difference being the design on the resonator. This was the very last model produced by Paramount, and extremely rare. It was made about 1932 with a S/N of 319. Only a handful were made.